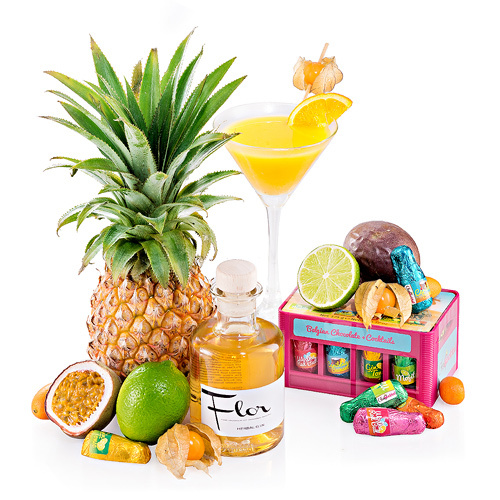 Celebrate the joys of summer with our festive summer cocktail gift set! This gift trio will turn any special occasion into a fabulous party. 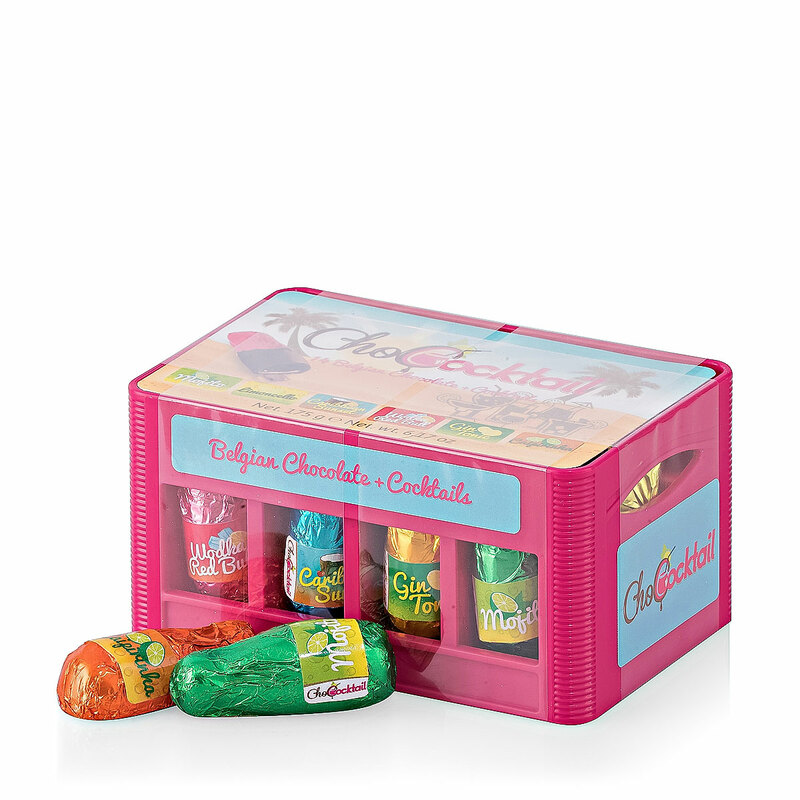 The perfect pairing of a refreshing aperitif, Belgian chocolates filled with cocktails, and fresh exotic fruit is like a tropical vacation. Carré Chocolaterie's ChoCocktail pralines are fun bottle-shaped Belgian chocolates filled with trendy cocktail flavors. The cocktail flavors include Caipirinha, limoncello, gin & tonic, mojito, vodka with Red Bull, and Caribbean Sunset. A scrumptious collection of ripe exotic fruit completes this delicious summer gift. Fresh fruit selection will vary by season and availability, and may include such favorites as mango, pineapple, lime, persimmon, and/or grapefruit.